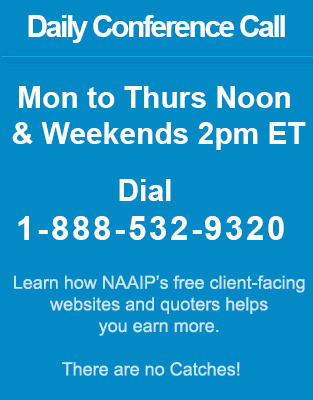 NAAIP offers an advanced predictive dialer system which saves time and effort by automatically dialing your uploaded list of phone numbers (up to 8 at a time), and connecting all the live callers to your agents with no delay in connection. By filtering out the waiting time, answer machines, disconnected lines and busy lines, you will save not only time and money but also a lot of effort in the process. Should you be connected to an answer machine, you can end the call, connect or leave a pre-recorded message that your customer can respond to at their leisure. This service does not require our clients to buy or install software. Fees are fixed at $100.00 per month for each seat and dialing is UNLIMITED.